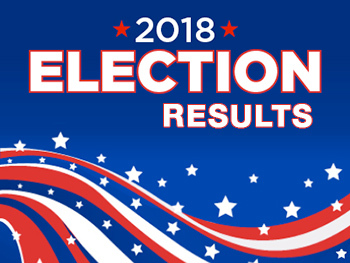 July 19, 2018 — Alabama voters went to the polls Tuesday to settle run-off elections, and the only congressional race on the ballot featured a Republican contest in the state’s southeastern 2nd District. 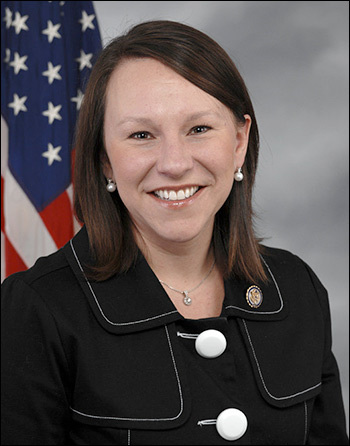 Rep. Martha Roby (R-Montgomery), who fared poorly in the June 5th GOP primary in scoring only 39 percent of the vote against four opponents – a clear danger sign for any incumbent – rebounded to post a 68-32 percent victory over former one-term Rep. Bobby Bright, the man Roby unseated back in 2010. At the time, Bright served as a Democrat. He changed parties and entered the Republican primary to challenge Rep. Roby and forced a political re-match eight years after the original contest. The 2nd District is comprised of 14 southeastern Alabama counties and part of Montgomery County. The largest communities are the cities of Montgomery (part), Dothan, and Enterprise. Roby carried all 15 local entities within a turnout of just over 71,000 voters. The congresswoman spent over $1.5 million, after obtaining more than $1 million in just the 2nd quarter. Her fundraising totals $2.2 million since the beginning of the campaign cycle. In contrast, Bright raised just $406,000 through the June 27 pre-election report, and almost $309,000 of that total came in the form of a candidate loan. Roby is a former Montgomery City Council member who decided to challenge then-Rep. Bright in the 2010 election. She defeated him that year, 51-49 percent, in the Republican wave election. Two years later, she scored 64 percent in her first re-election campaign, followed by a 67 percent win in 2014. Her victory margin dropped to 49-40 percent in 2016, largely because she came out against then-candidate Donald Trump after the Access Hollywood videotape became public. March 8, 2017 — Montana Republicans convened Monday night in the capital city of Helena to choose their nominee for the special at-large congressional election to replace Interior Secretary Ryan Zinke. Unlike the Democratic meeting the day before, the GOP caucus went according to the predicted political script. Before the state convention, 2016 Republican gubernatorial nominee Greg Gianforte claimed to have enough pledged votes to win on the first ballot, even against five other candidates. With 203 voting members attending last night, Gianforte’s claim held true. He captured 123 first ballot votes, over 60 percent of those present and voting, and won the nomination after just one round of voting. During the preliminary question and answer period where the six candidates fielded queries from the delegates, concern was raised about whether the special election winner would serve for more than a term. The last two Republican at-large House members, current US Sen. Steve Daines and Zinke, each departed after one term. Daines was elected to the Senate in 2014 after first winning the House seat in 2012. Though Zinke successfully ran for a second term, he would only serve two months before being confirmed as President Trump’s Interior Secretary. July 27, 2015 — The Florida Supreme Court’s order of a partial re-draw of eight congressional districts has turned the Sunshine State’s politics upside down. With one House member already jumping to the Senate race because he will get an unfavorable draw in his Pinellas County district, another representative may be looking to soon follow suit. Last week, it was reported that freshman Rep. Gwen Graham (D-Tallahassee) is confirming that she, too, is considering entering the open Senate campaign. In its decision, the state Supreme Court took the highly unusual action of actually stating how the 5th District — that of Jacksonville Rep. Corinne Brown (D) — should be drawn. Currently, the controversial district encompasses a portion of Duval County (Jacksonville), travels southwest to annex part of Gainesville, and then meanders further south to capture African-American precincts in the city of Sanford before moving into Orlando. The configuration has withstood several challenges under the Voting Rights Act over the past two decades, which is why it remains, but the state high court ruled two weeks ago that it did not meet the proper redistricting criteria under the 2010 voter-passed initiative. 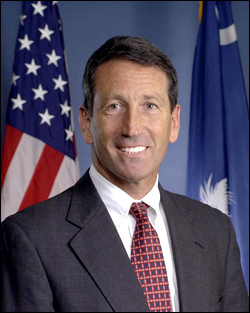 Mark Sanford is in trouble again. Allegedly violating his divorce agreement with his ex-wife Jenny Sanford, the former South Carolina Republican governor now faces a trespassing hearing two days after the May 7 special election. In response to the latest controversy, the National Republican Congressional Committee released a statement saying they will not fund the special election. This all but assures Democratic nominee Elizabeth Colbert Busch will now win what should be a safe Republican seat. Though it appeared Republican voters were willing to give Sanford the second chance he requested, it is highly unlikely that they will award him a third such opportunity. Thus, the string of bad Republican luck and performances they have experienced in special elections during the past few years looks to be continuing. Let’s turn the clock ahead to the regular election next year, when Republicans should be well positioned to reclaim the seat from a Congresswoman Busch. With many potential candidates such as former Charleston County Councilman Curtis Bostic, state Sen. Larry Grooms, state Rep. Chip Limehouse, and businessman Teddy Turner, among others waiting in the wings, it appears the GOP will field a strong opponent to Busch in the regular election.